We are thrilled to offer our students the choice of on-campus and online classes this fall with our stellar line-up of art industry professionals! Students who are local and from around the world can now enjoy a top quality educational learning experience. We invite you to our Fall Open House on September 14th starting at 10am. During the day’s festivities you may tour the school, enjoy complimentary demos, meet instructors and staff, learn about our programs, receive a complimentary portfolio review, win a prize and much more… This will be the last day to enroll in our continuing education classes and receive early registration prices. Please RSVP to receive more information on the days list of event times. See you soon! If you are unable to attend our on-campus classes, we invite you to take your next traditional or digital class online with our esteemed professional instructors who work for top studios such as: Blue Sky Studios, Disney, Dreamworks, Riot Games, Universal and many more… Our online live classes are held in real-time where students are able to interact with the instructors directly. A typical class will include: Demo, lecture, in-class exercise, critiques and homework. We have a special introductory rate of $495. Limited seats are available. Enroll Now! Images above by: Rey Bustos, Daniel Bilmes and Sam Michlap. During weeks 6 through 9 in Ecorche with Rey Bustos at LAAFA we added “musculature” to our ecorches. Using “chocolate” Sculpey, we crafted each muscle according to helpful guidelines Rey provided for us. With Rey’s detailed drawings and demonstrations to lead us in the right direction, we worked our way up the body, all the way from lower leg, through the abdomen and upper body to the facial muscles. Stay tuned for the exciting conclusion of Ecorche with Rey Bustos at LAAFA in our upcoming Week 10 blog post. One of the most transformational parts of Ecorche with Rey Bustos at LAAFA was spray painting the baked ecorche. I was careful to mask the hand and foot that I wanted to remain the fleshy color of Sculpey with aluminum foil before painting. You can see below how a light coat of off-white spray paint really shows off all the sculpting work that goes into the skeletal portion of the ecorche. In class, Rey had a “varnishing station’ set up for us. We lightly brushed varnish over our spray painted ecorches. We only applied the varnish to the left side, the side that will remain as exposed skeleton. We left the right side coated with spray paint only, so the clay we apply to represent muscles will stick. The effect of the varnish over the spray paint is fantastic- don’t you think? I can’t believe we have already reached the halfway point- week 5 in Ecorche with Rey Bustos at LAAFA! 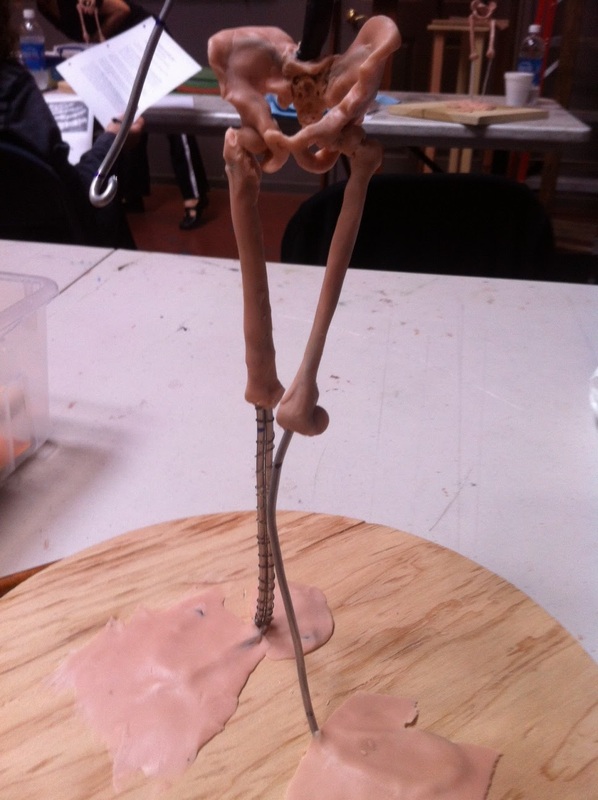 Class number five focused largely on process, as this week’s tasks were to complete the skeletal body and “bake” the ecorche to permanently harden the Sculpey. For the fleshed out right hand, Rey drew us a diagram of the palm. He encouraged us to make our ecorches’ hands expressive, and to add creases, or flexure lines, for a lifelike effect. 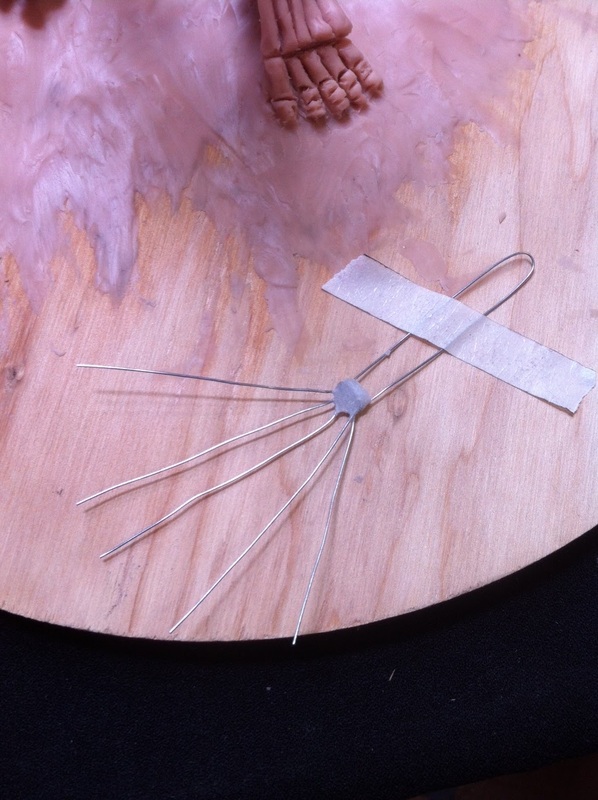 Everyone had more than enough armature wire to support the fingers on each hand. Back at home, I carefully followed the written instructions Rey gave us on baking our ecorches. Behold! Five weeks of sculpting permanently set in polymer clay! 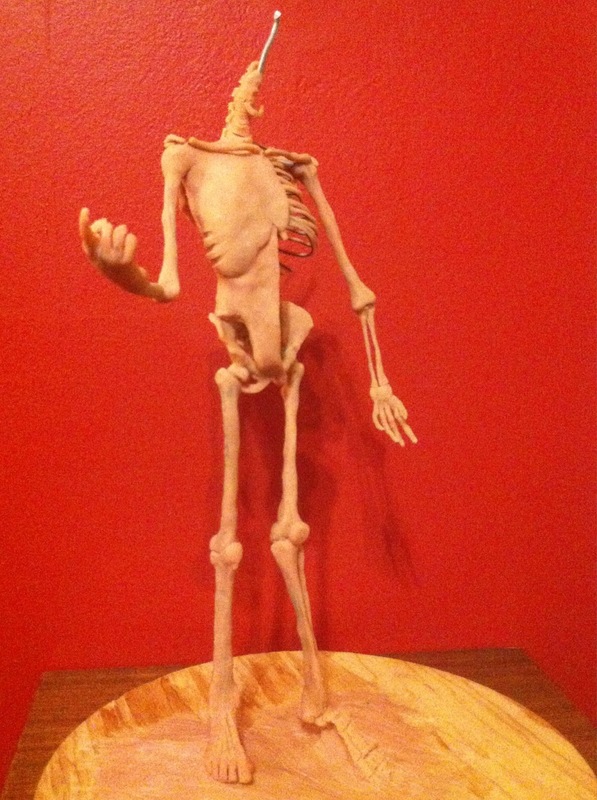 Now, before adding the muscles, all I have to do is paint and varnish the bones. I’ll post an update on the painting and finishing process soon! Week 4 in Ecorche with Rey Bustos at LAAFA was action-packed! 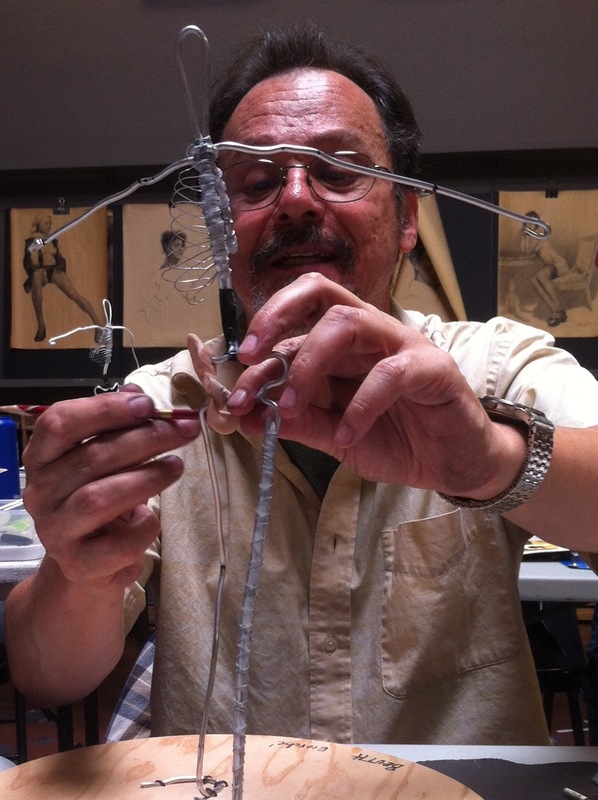 During the first part of class, Rey led students in bending wire to create five-pronged armatures for the right and left hands. The design of Rey’s ecorche features a moveable left elbow joint, so we made the wire armature for the left forearm and hand as a separate piece. I taped mine to my ecorche’s ground for safekeeping. After a series of neat accordion bends and just one snip with wire-cutters, we had the armature for our ecorches’ right hands in place as well. With the final armature building behind us, we moved on to the triple topic of the day: vertebra-thorax-humeri. In English, that’s spine-ribcage-upper arm bones. Rolling out the ribs and building the support surfaces for future “muscles” on the right side of our ecorches filled the rest of the class. 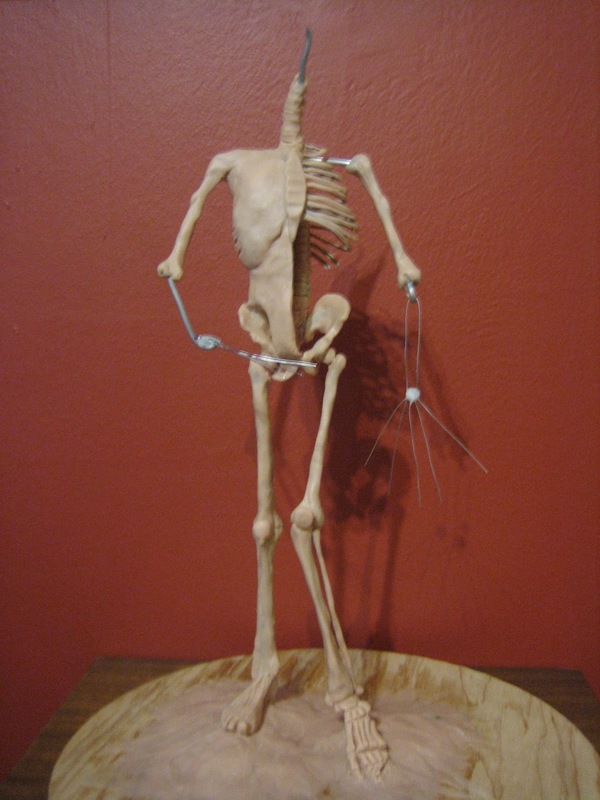 The support clay on the right side of the ecorche does not represent any anatomical structures in the human body. 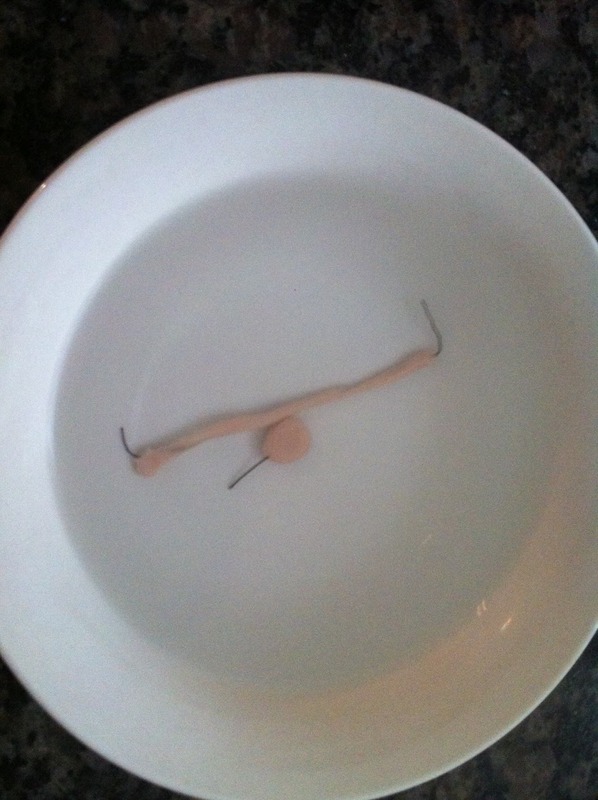 However, for our ecorches, this support will be necessary when we begin to add muscle to the figures in two weeks. Rey made sure each student’s ecorche was on track before dismissing class. Students in Rey Bustos’s Ecorche class at LAAFA started week 3 by covering the wire and nails holding their ecorche upright with clay. This clay was the beginning of the ground our ecorches would come to stand on… after we took care of the small matter of sculpting the 3 bones of the lower leg and the 26 bones of the foot! 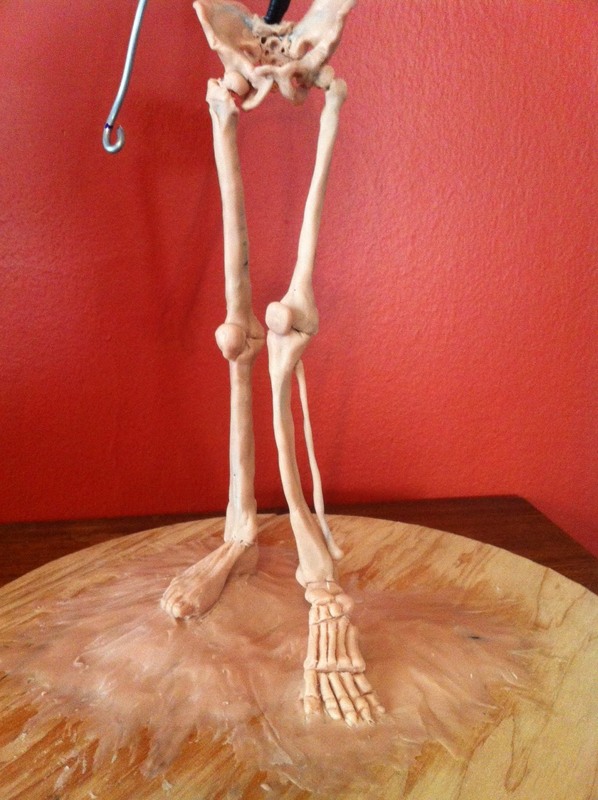 Fortunately, Rey’s design of the ecorche “fleshes out” the right foot, so in all we only had 33 bones to sculpt. Now that class is over, and I’ve completed my homework, I can’t believe how much we learned and got done this week! 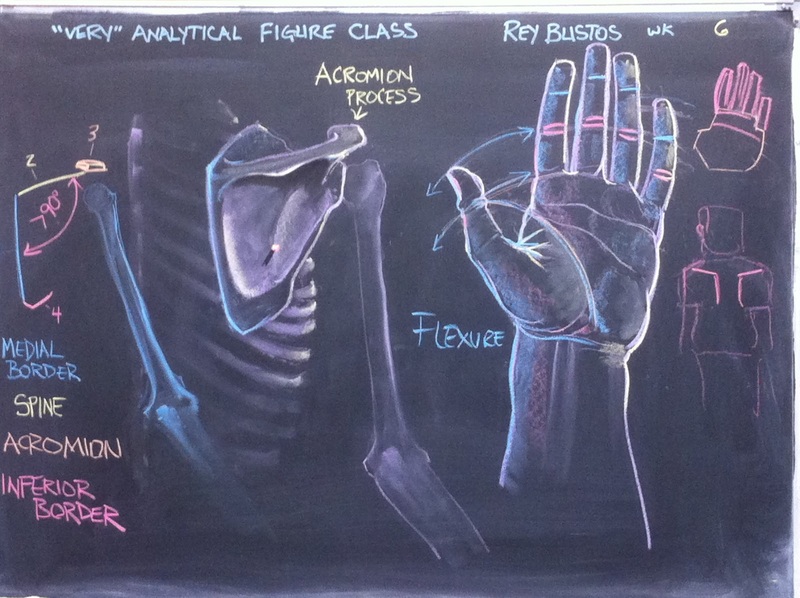 Rey kept his lecture brief so we would have time to get started on sculpting those 33 bones! 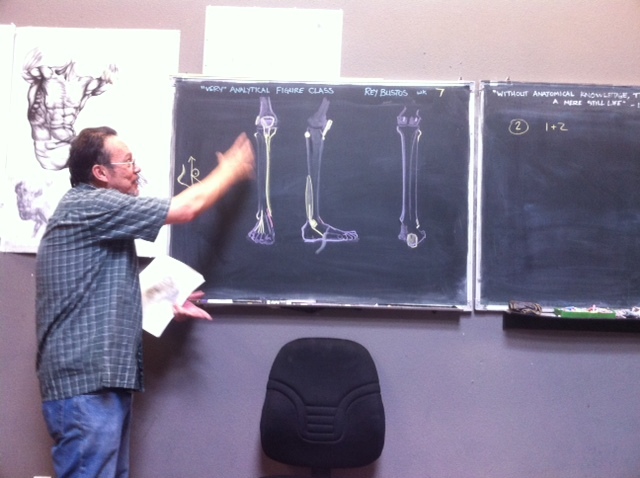 Rey advised that we start with the feet, and then work our way up to the tibia, fibula, and patella that make up the lower leg. To create the bones of the skeletal foot, Rey advised that we use top-view printed anatomical guides and “draw” the bones into our clay. The method really worked! Soon we had our skeletal left feet completed. 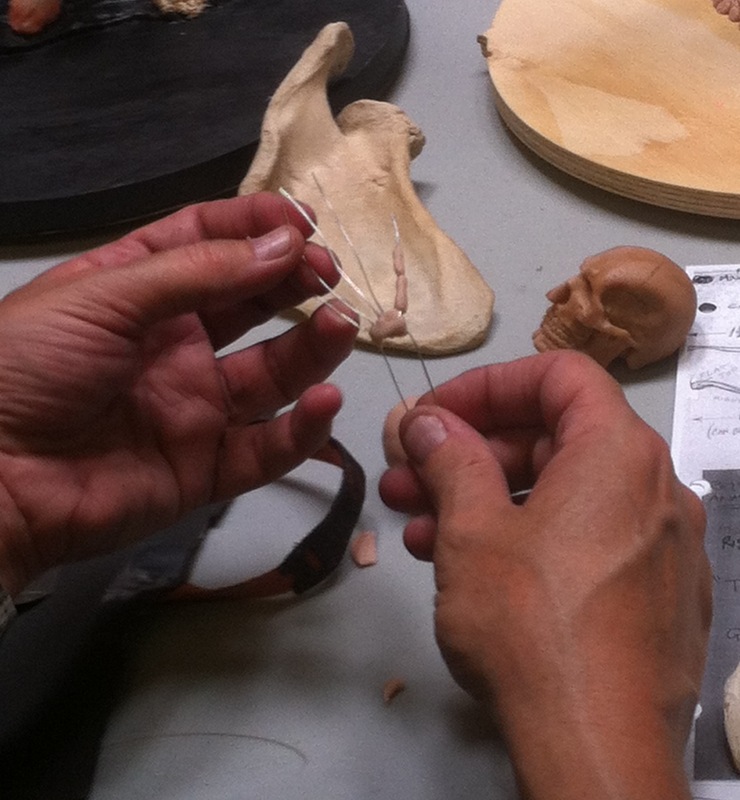 Rey demonstrated how to create toes, toenails, and tendons for a lifelike look on the right foot. As a final touch, he added red calluses and blue-green veins in watercolor paint. Ta-dah! 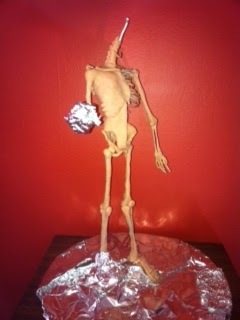 Here is my ecorche’s newly completed lower skeleton! Check back next week to see what we learn in week 4! 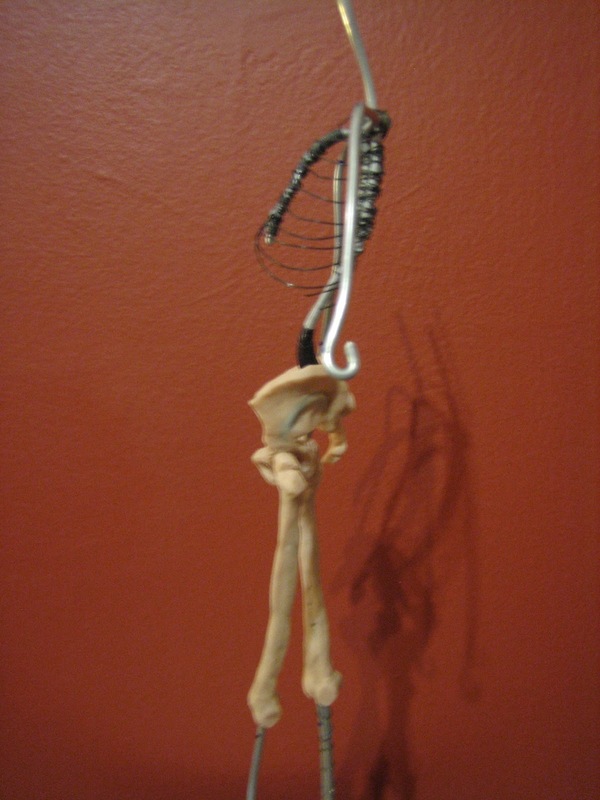 The hip-bone’s connected to the thigh-bone…. 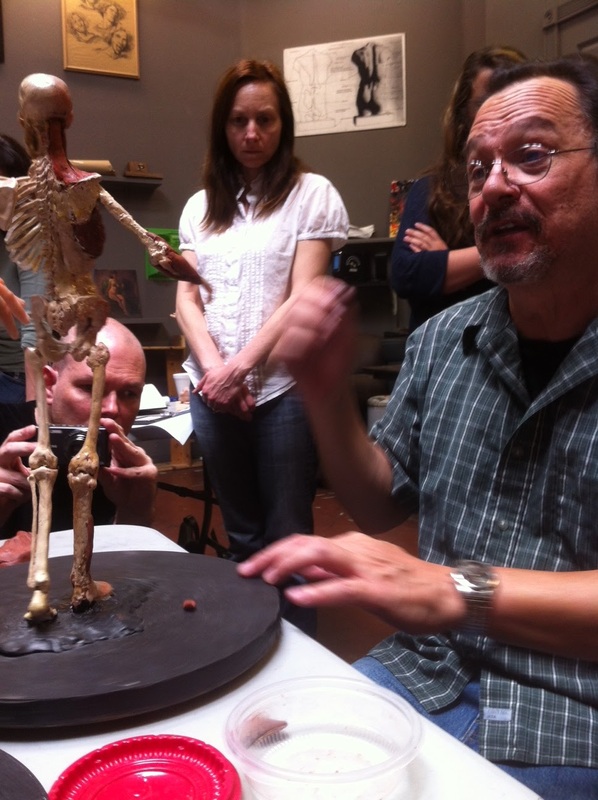 Week 2 of Rey Bustos’s Ecorche/ 3D Anatomy class at LAAFA introduced the two major bones of the lower body: the pelvis and the femur. To simplify the daunting task of rendering the pelvis in 3D, Rey started with a less-intimidating concept – a square. Two squares, actually, drawn together in a rectangle. You can see this rectangle on the blackboard in the photo at right. So far, so good. 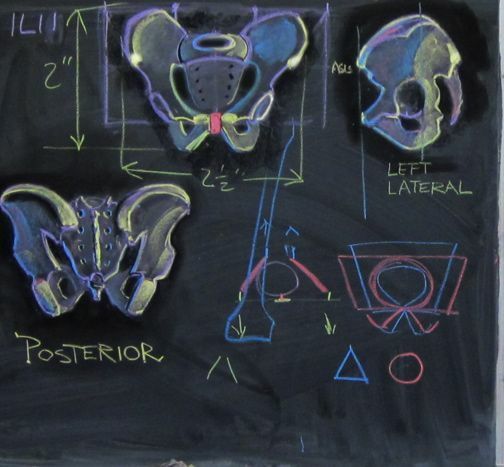 Rey then used the framework of these squares to guide students in drawing the pelvis in 2D. 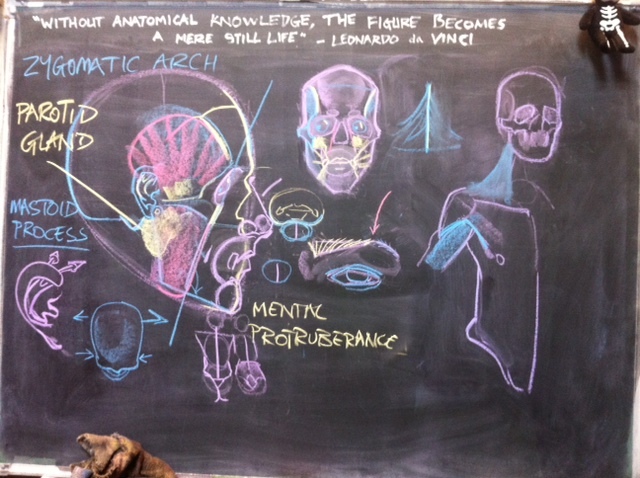 We drew our own maps of anatomical terrain most of us had only previously used… well… to sit on. Keeping up with the lecture and Rey’s detailed drawing (left) kept us busy! We learned the five “landmarks” of the pelvis to look for on a live model. In addition, we learned how even the invisible bony bumps under layers of muscle and soft tissue affect the visible parts of the human body. Good stuff! 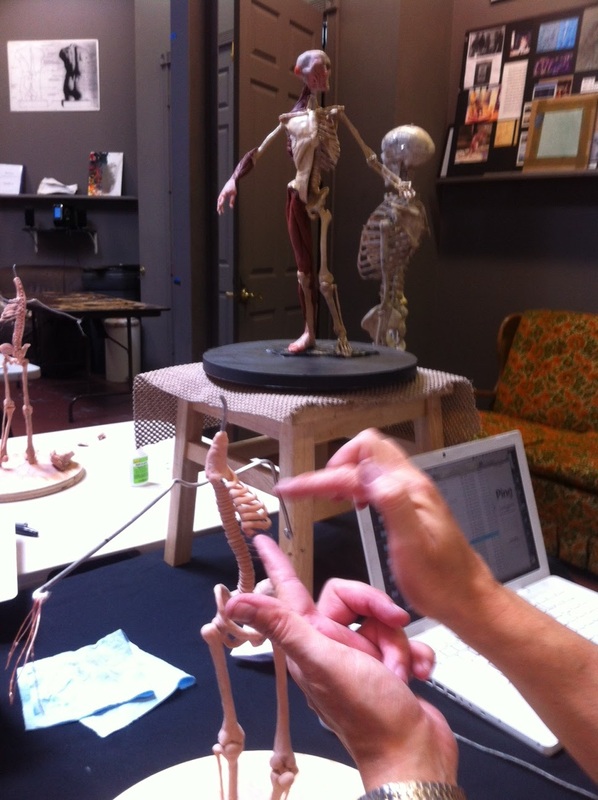 When we were ready to start adding the clay “skeleton” to our wire armature, Rey lent a hand and gave a brief demo to get us started. Then we were on our own! Moving on to the femur, Rey gave another brief lecture. Since we all now had at least part of the pelvis completed, Rey’s approach to the femur emphasized its connectedness to the pelvis and the rest of the skeleton. Again starting with a simple concept, Rey showed us how to form the head of the femur from a clay “worm” wrapped around our wire armature. Rey left us on our own to work for the rest of class, but was always on hand to answer questions and provide help. I can hardly wait for tomorrow’s class! Here’s my completed Week 2 homework. Rey Bustos is the wonderful kind of teacher who makes you feel like you are getting your money’s worth out of his class – down to every last penny! 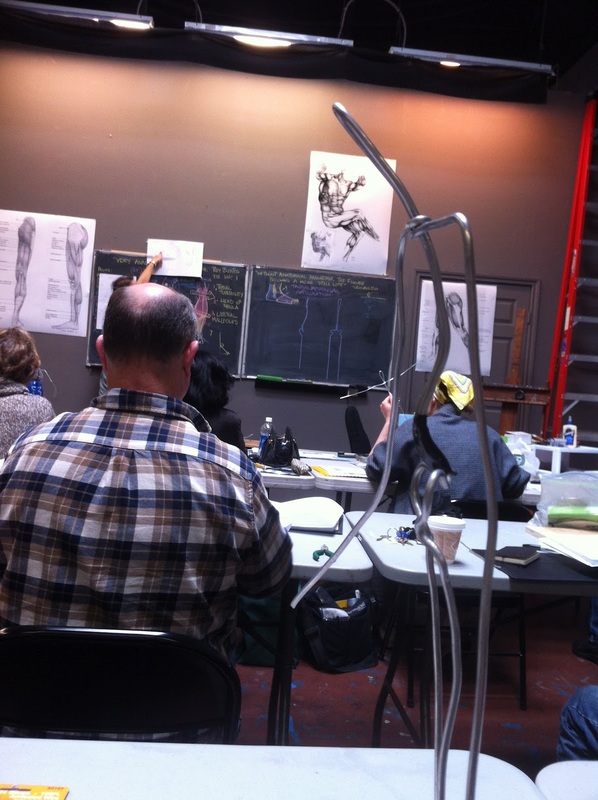 Last Sunday, April 15th, Rey’s Ecorche/ 3D Anatomy class at LAAFA started with students arriving 30 to 60 minutes BEFORE the start of class so that Rey could help us all get the main portion of our armature wire bent into shape. 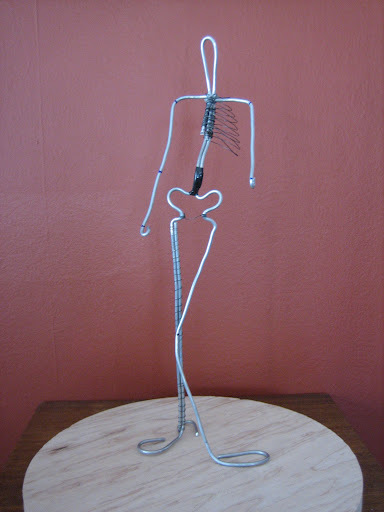 Rey expertly turned yard after yard of straight wire into the basic frame for a 16″ replica of a human statuette or ecorche. 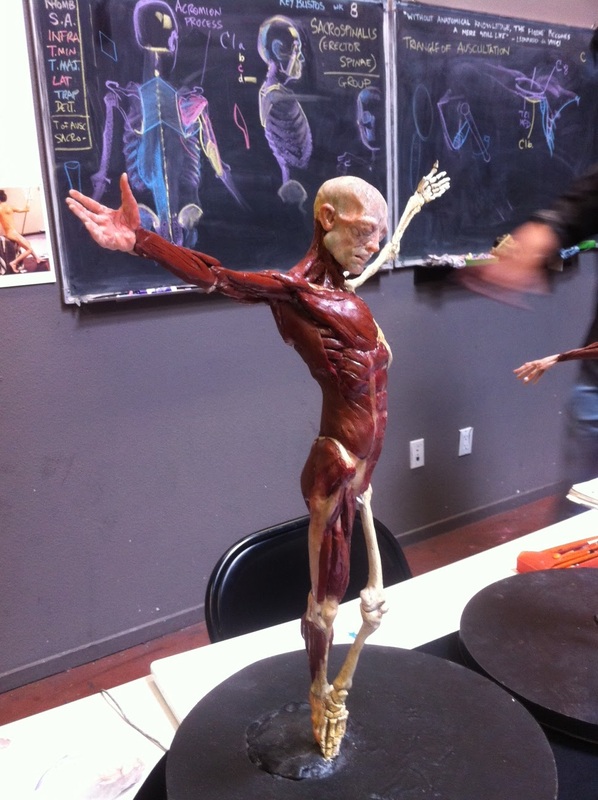 In French, ecorche means “flayed” and refers to the fact that a finished ecorche sculpture looks like it has had the skin removed so you can see the muscles and bones. Our ecorches were only just beginning to take shape. All along the way, Rey guided us in measuring, bending, and wrapping our wire. After the wire supports for the arms and legs were bent into place, the next task was bending wire to support the clay ribcage we will be building in future classes. Rey guided students through the first four ribs and assigned the remaining eight as homework for students who couldn’t get them done in class. 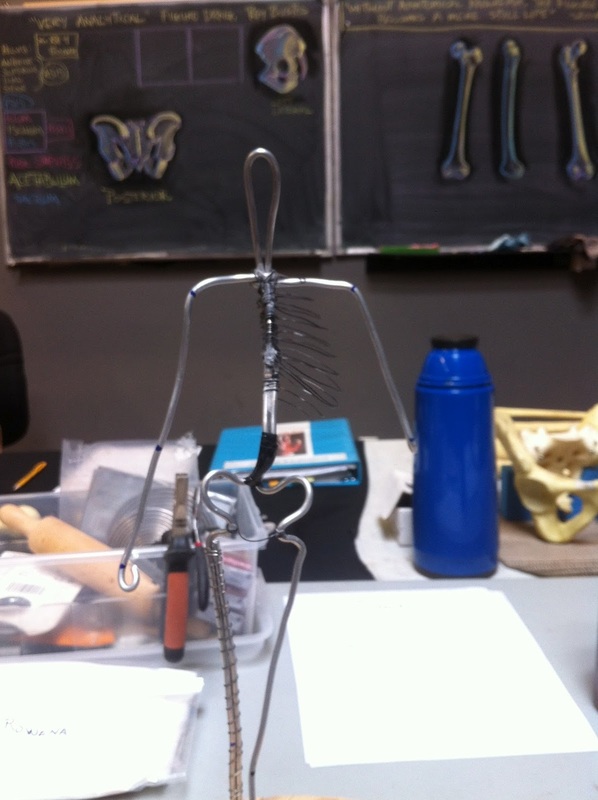 Rey provided illustrations of the human ribcage from all angles to guide our wire wrapping and bending. Even though I thought I knew what a ribcage looked like, looking at the diagrams showed me the human ribcage in more detail that I imagined it could possibly contain. I realized that there is a big gap between knowing enough to merely identify a ribcage, and the intimate understanding that comes from a tactile experience of its form. Like an eager student aboard Ms. Frizzle’s Magic School Bus, I can’t wait to see what part of the body Rey will introduce us to next week! 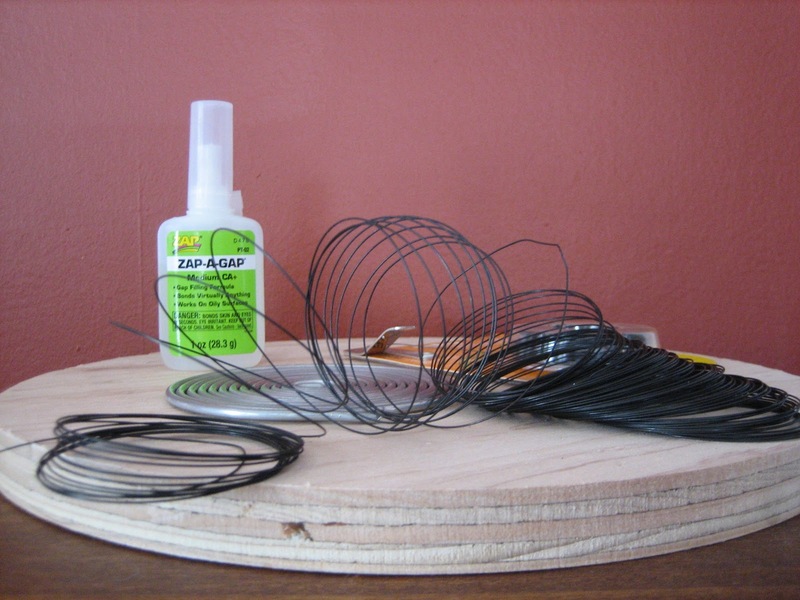 We finished class by securing our wire armatures to 12″ wooden boards with double pointed tacks. Students with time to spare were able to start rolling their Super Sculpey into sheets to allow it to firm up a bit for next week’s class. Week 1 of Ecorche/ 3D Anatomy was a lot of work, but the results were satisfying. 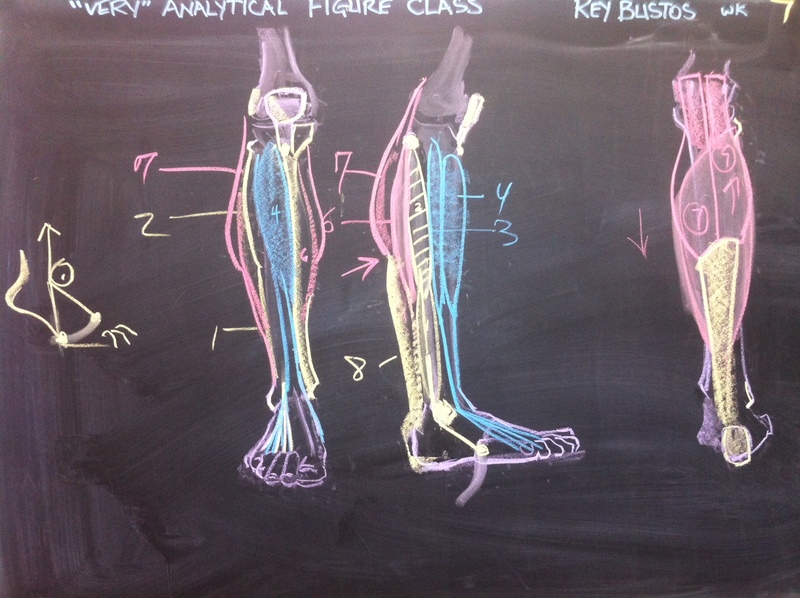 I’ll be posting every week as the Spring 2012 Ecorche/ 3D Anatomy class with Rey Bustos progresses, so stay tuned!